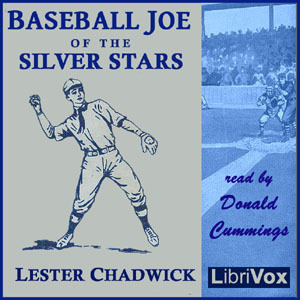 Listen to "Baseball Joe of the Silver Stars" on your iOS and Android device. "Baseball Joe" Matson has recently moved to Riverside with his family, in this opening volume of Baseball Joe series. Joe is a wide-awake country boy who enjoys playing baseball. We follow his career in the series, and his adventures, as he joins Riverside's local nine and makes good, playing the position he most enjoys - that of pitcher, are recounted here. When not on the diamond, Joe is assisting his father against foes who are trying to steal Mr. Matson's machinery patents.